When I play 2 player side scrolling shooters I just want to hang from a missile with a pal, is that too much to ask? Apparently not with the Contra series, as this is one of the selling points of the series. You can now get your hands on the undercarriage of a SAM in the latest port of the PlayStation 2's Contra Shattered Solider on PSN. The original Contra Shattered Soldier graced the PS2 back in 2002 and brought a pseudo 3D feel to the graphics of the traditionally 2D action shooter series. Sony is bringing this 'classic' back as part of PSN this week. The game has 2 player co-op throughout the campaign and this is likely to be local only, like the original experience. The re-release of this classic Contra could have something to do with recent rumors of a new game in the series coming soon, who knows? 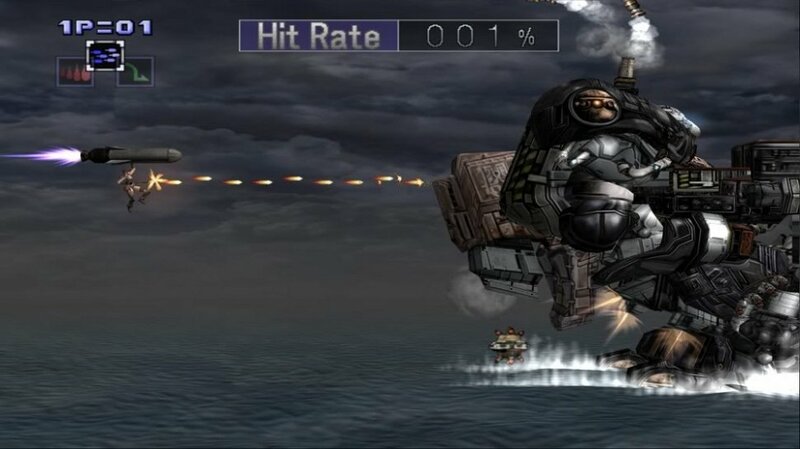 New game or not, get your fill of beefy men firing from missiles right now on PSN.